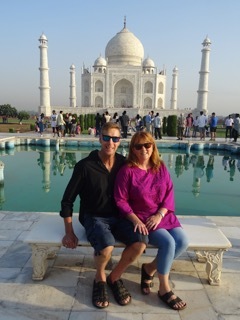 We recently had a fantastic 5 week holiday in the north of India. It was great to be able to plan our itinerary with Tiwari Travel, the way we wanted to experience this wonderful country. Meredith was very helpful with providing suggestions and places to visit. Having Sunit available to talk to on the phone along the way was invaluable. He ensured everything went smoothly and if we had any concerns he was there for us. Tiwari Travel provided knowledgeable great hotels, knowledgable guides and excellent drivers. We thank Meredith and Sunit for making our dream holiday real .